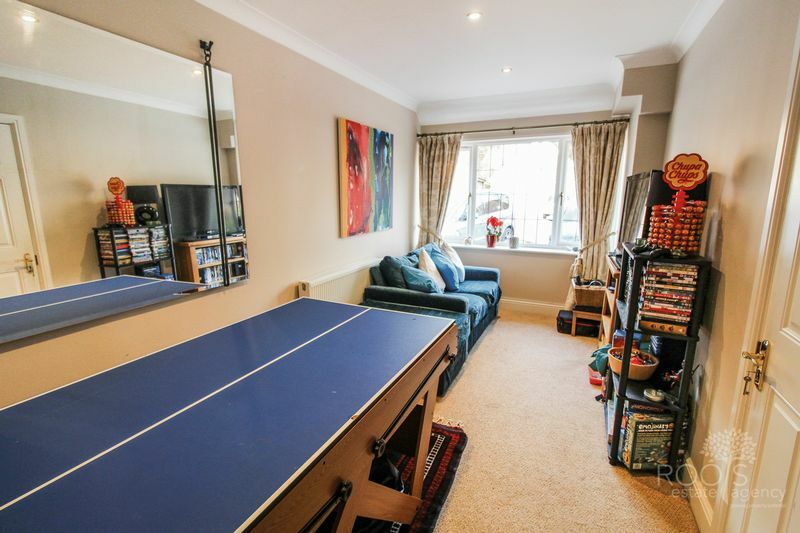 A substantial five-bedroom family home with good size living space and accommodation across two floors. 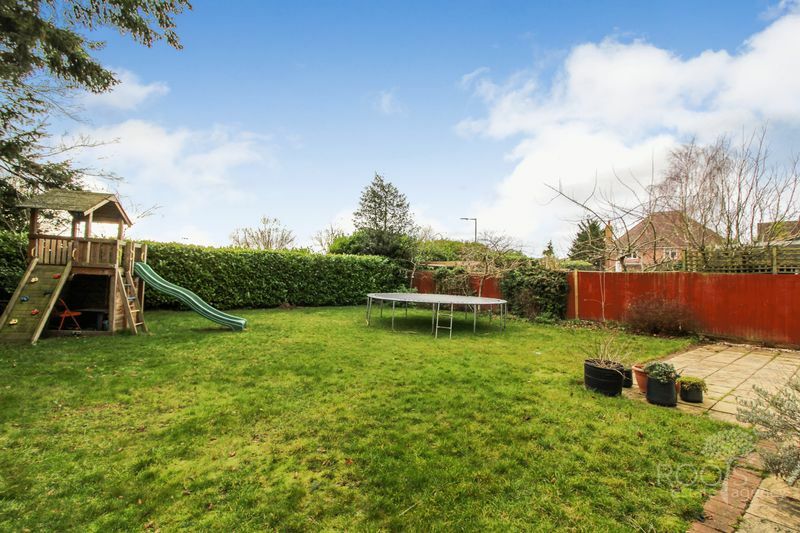 Occupying a level plot with a southerly facing garden and excellent parking on a prime residential road close to the sought after Wash Common area. 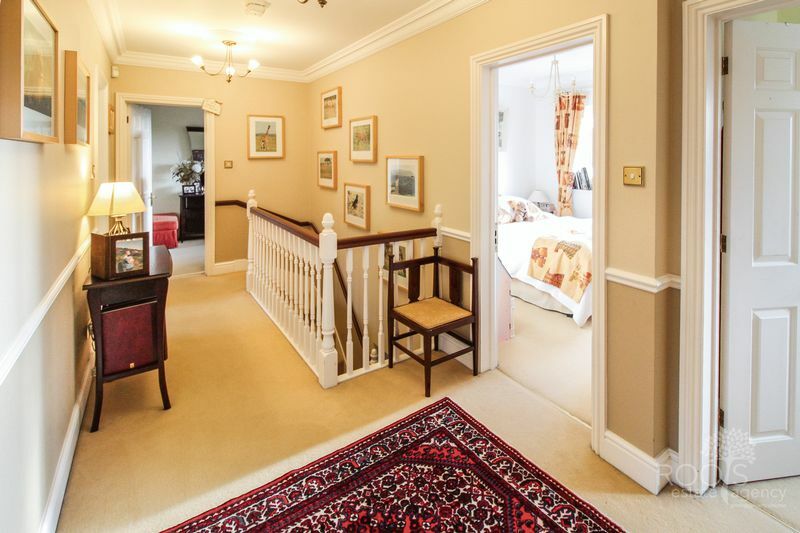 Superbly presented throughout and classically decorated in timeless natural colours, the property is arranged over two floors and provides excellent living space with a balanced arrangement of accommodation. 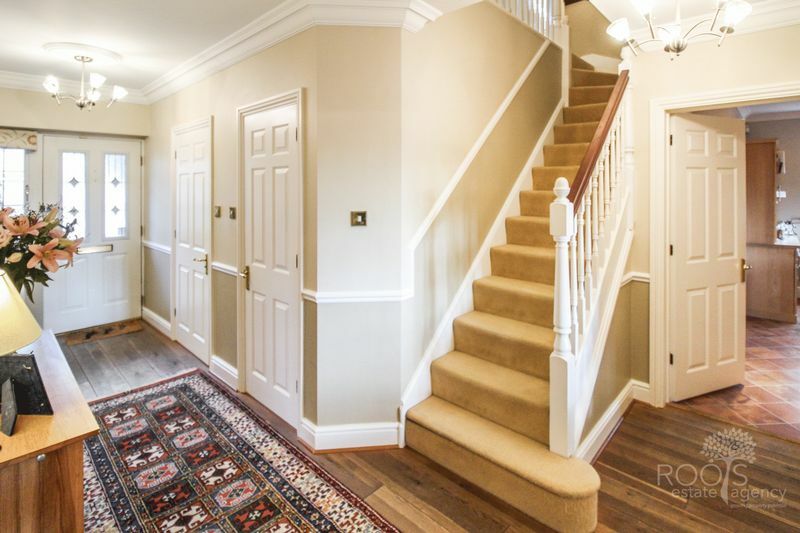 Offering a comfortable and practical family home, each room feels welcoming and connect via a central hallway and landing. The granite surfaced kitchen/breakfast room includes a Mielé dishwasher and microwave with space for a side-by-side fridge/freezer and a range cooker. 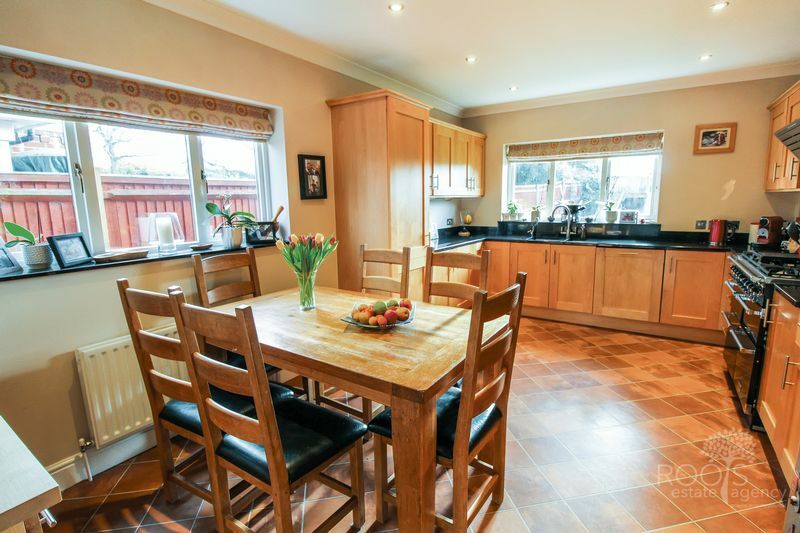 The kitchen also gives access to a separate utility room and the family room, which was converted from one half of the original double garage. 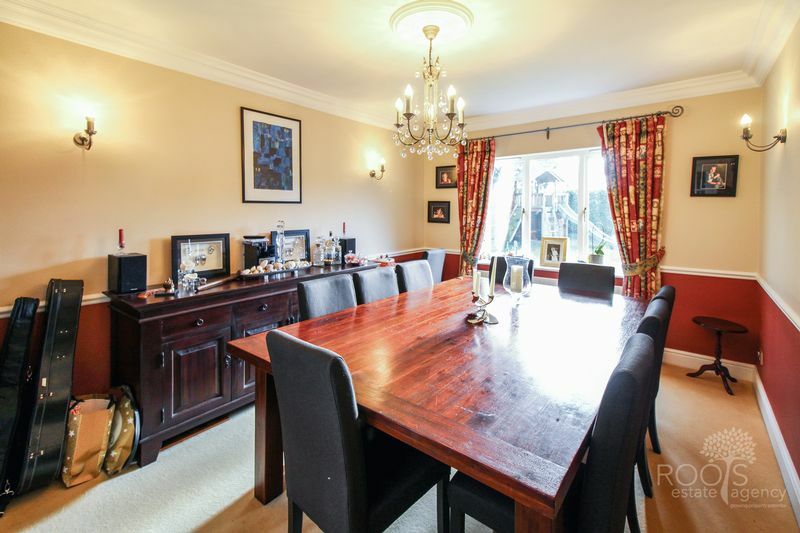 Beside the kitchen and off the entrance hall, the separate dining room will comfortably take a large family dining table and extra furniture with an outlook over the rear garden. 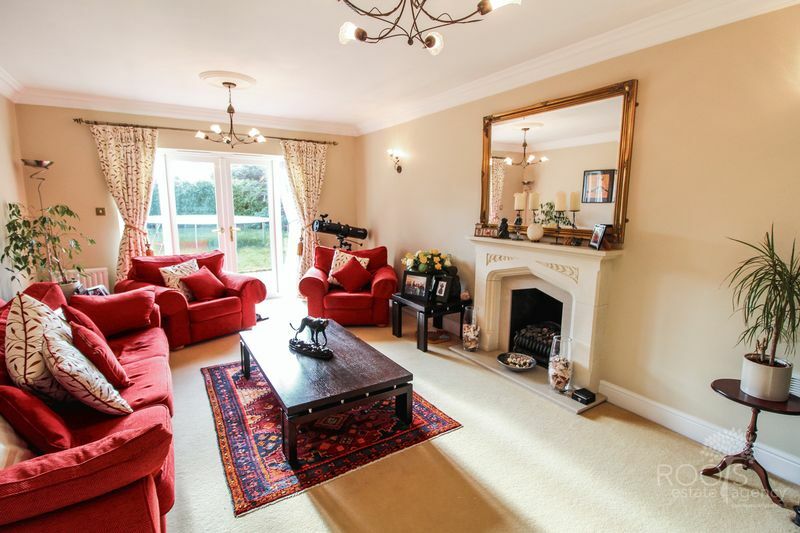 The separate sitting room features French doors to the rear garden patio and a gas flame fireplace. 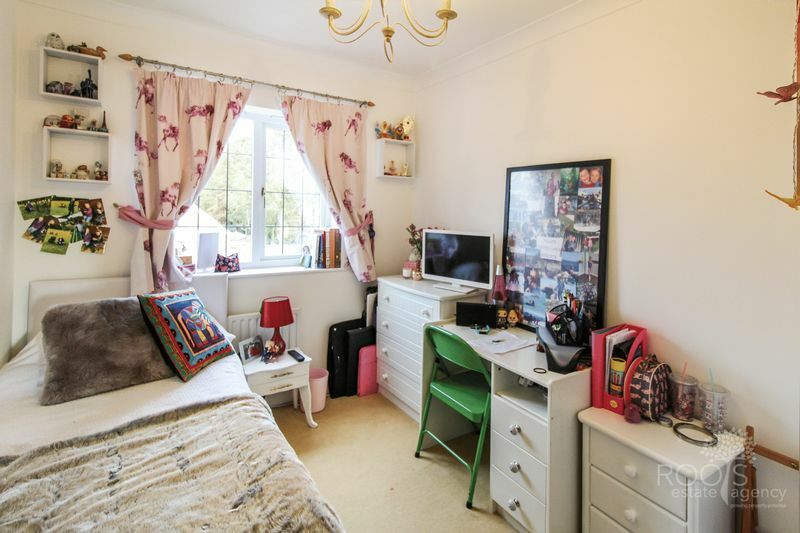 There is also a home office at the front of the house, a cloakroom and built-in storage. 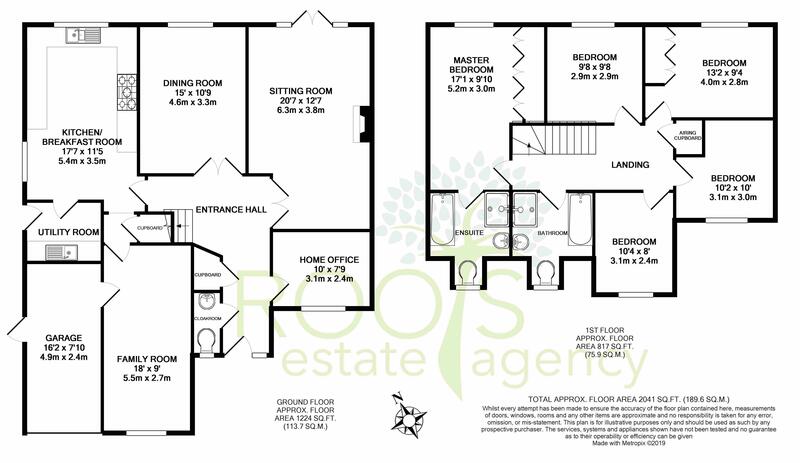 Both the entrance hall and the first floor landing are a good size, with all bedrooms and the family bathroom leading off the landing. The master bedroom features three double wardrobes and a dressing area leading to an en-suite bathroom that includes a separate shower unit. The family bathroom emulates the size and features of the en-suite with a separate shower unit too. 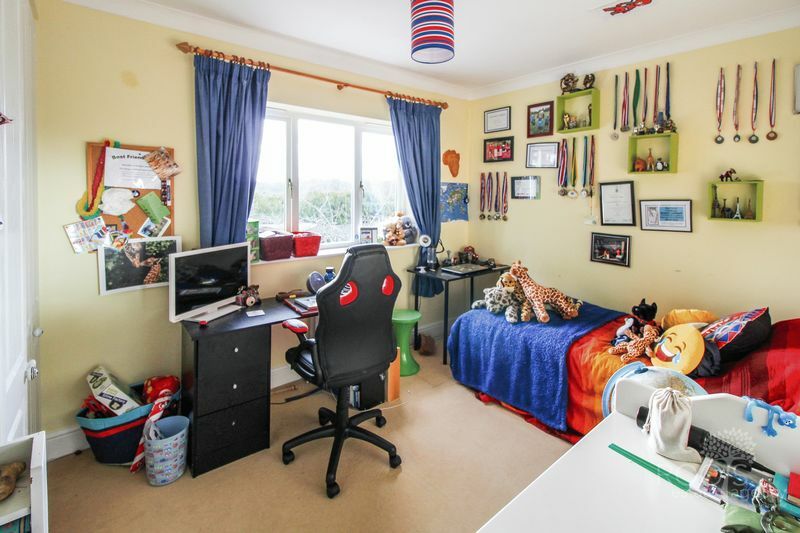 Wardrobes are also fitted into another of the double bedrooms. The accommodation claims a lot of natural light from the southerly rear aspect and offers well-proportioned rooms that are shaped for easy furnishing. Glass panelled doors help to share this natural light throughout much of the house and arrangement has perfect form from the location of the dining room between the main reception room and the kitchen, to the utility room and family room off the kitchen/breakfast room and separated from the office. Engineered oak extends from the front door in the entrance hallway to the Amtico flooring in the kitchen. The utility room includes a recently updated gas central heating boiler and a side door leading to the gated side passage connecting the rear garden with the driveway. 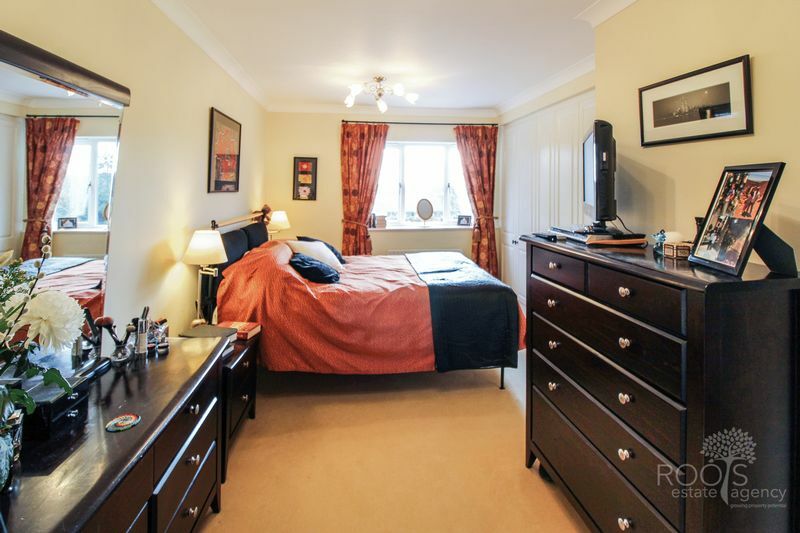 The master bedroom and two further double bedrooms enjoy a spectacular view over the Newbury rugby club and beyond. OUTSIDE To the front of the house is a block-paved driveway with side-by-side parking for at least three vehicles leading to the garage and the front storm porch. The remainder of the frontage is covered by lawn with some hedgerow along the front border. There is also a gated footpath extending along the side of the house and leading to the rear. The southerly facing rear garden is good size square shape, with level grounds that are mainly laid to lawn. Enclosed by timber fencing and mature Laurel bushes, the garden holds a good degree of privacy from the rear. To one side of the house is a garden shed and an outside electrical double socket. A paved patio extends across the rear of the sitting room and connects with the side access. The integral garage is still a normal size with space to store an average family saloon. 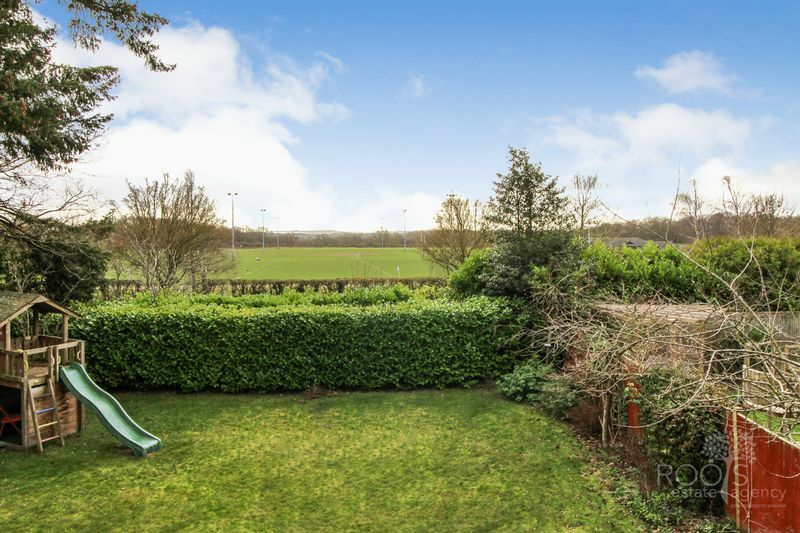 LOCATION Situated on and surrounded by some of Newbury’s most prestigious roads, Heather Gardens is a desirable non-estate location within close range of rural countryside and protected Areas of Outstanding Natural Beauty. The area is steeped in history and offers unrivalled access to woodland trails and parklands. This welcoming and friendly parish has amenities including two convenient grocery shops, two public houses and a local cricket ground. The well-regarded Falkland Primary School and Park House Secondary School are also within a short walking distance. 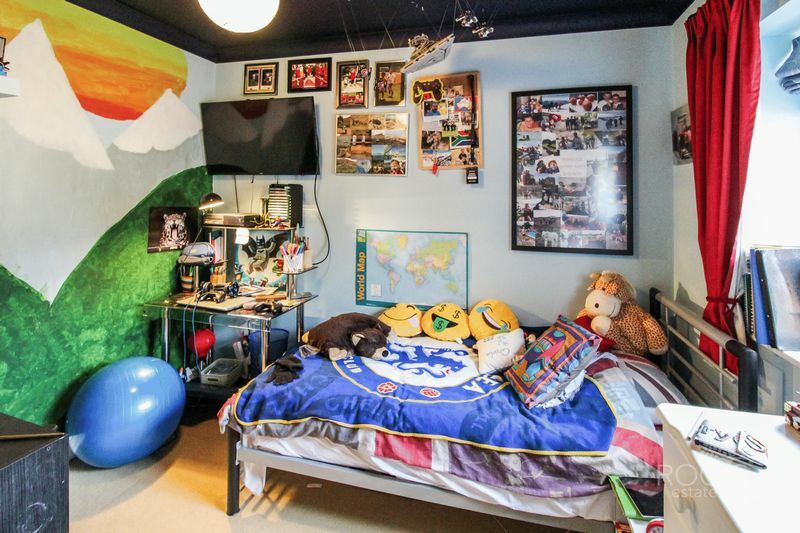 Additionally, there are buses from the area to independent schools such as Abingdon Boy’s School, St. Gabriel’s, St. Helen and St. Katherine’s, Pangbourne College and Peter Symonds College in Winchester. 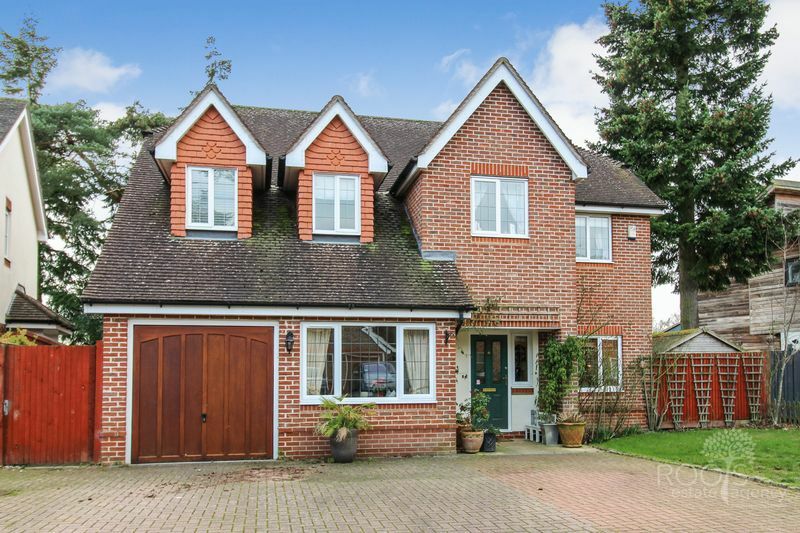 Cheam and Downe House Schools are also within local driving distance. The nearby market town of Newbury boasts a comprehensive new shopping area and historic pedestrianised high street. Newbury offers a range of amenities, including a theatre, cinema, leisure/fitness centres, internationally known horse racecourse and a wide choice of restaurants and bars. Not far is the A34 which gives excellent access to the M3 and M4, providing road links into London, the West Country, the South Coast and the Midlands. Rail links at nearby Newbury Station provides regular direct services into London Paddington (51 mins) and in the opposite direction to Devon. • EPC is available separately from our office.